Turkmen – Bahrein business forum, which was organized by the Trade and Industrial Chambers of two countries, has started its work in Archabyl Hotel of the capital. The forum, which is held for the first time, is to become an important step toward the activation of bilateral cooperation in wide range of directions. Delegation of representatives of the Governmental structures, financial institutes, education facilities of the Kingdom of Bahrein as well as leading companies specialized in trade, gas, oil, chemical, textile industry, telecommunications, tourism and other spheres came to Turkmenistan for participation in the meeting. Representatives of ministries and departments as well as the Trade and Industrial Chamber and the Union of Industrialists and Entrepreneurs took part in the meeting from Turkmen side. The Head of delegation of Bahrein highlighted the interest of his country in cooperation with Turkmenistan, which demonstrates impressive growth rates of national economy and received international authority as perspective and reliable partner. Constructive character of the meeting became the evidence of mutual desire of development of multi-aspect dialog. Top managers of the Trade and Industrial Chamber of the Kingdom of Bahrein, Department of Economic Development, Central Bank, Banagas National Gas Company also made speech at the forum. Proposals of Turkmen side were given by representatives of the Ministry of Trade and Foreign Economic Affairs, Trade and Industrial Chamber, the State Bank for Foreign Economic Affairs, the State Concern Türkmengaz and the Union of Industrialists and Entrepreneurs. It was mentioned that the forum is aimed at introduction of economic potential of Turkmenistan to business circles of Bahrein, establishment of long-term relations with representatives of non-governmental sector of the economy. Perspectives of development of cooperation in investment, trade, banking, oil and gas and other spheres were the main subjects of the meeting. The participants highlighted that integrated measures for diversification of export potential of national economy are taken and significant investments are provided for development of fuel and energy sector in Turkmenistan. Relative infrastructure is developed and legislation framework is improved for enhancement of investment attractiveness. The participants of the business forum received comprehensive information about the achievements and ley vectors of the strategy of innovative development of Turkmenistan. Current subjects of development of global market and the role of our country the key player Central Asian Region have been reviewed. Memorandum of Understanding between the Trade and Industrial Chamber of Turkmenistan and the Trade and Industrial Chamber of the Kingdom of Bahrein, Memorandum of Understanding on Cooperation in gas and petrochemical spheres between the State Concern Türkmengaz and Gulf Petrochemical Industries Company, Memorandum of Understanding between the State Concern Türkmenhimiýa and Gulf Petrochemical Industries Company, Confidentiality Agreement between the State Concern Türkmenhimiýa and Gulf Petrochemical Industries Company have been signed by the outcomes of the first day of work of the forum. 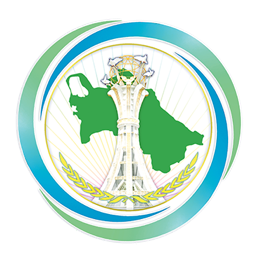 Meetings and talks between profile ministries and departments of two countries working in fuel and energy, chemical industry, agriculture and other spheres will be held on the next day of the forum.